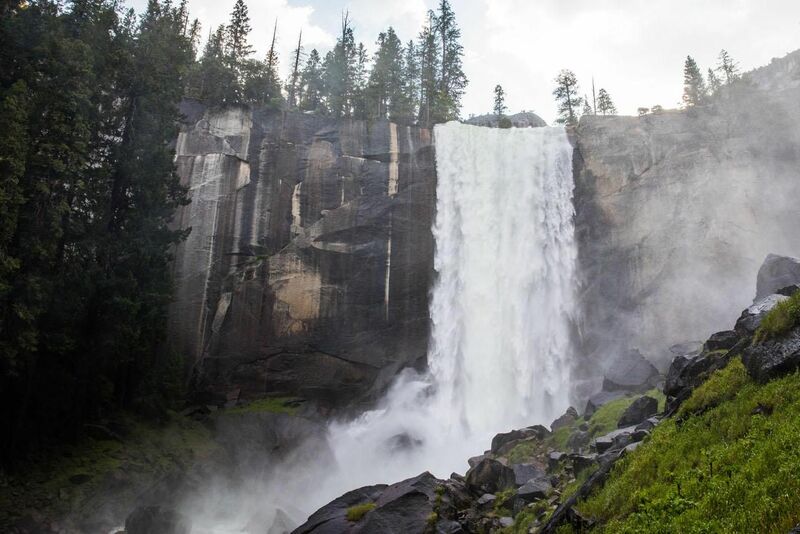 Hiking to the top of Vernal Falls and Nevada Falls is one of Yosemite’s most popular activities. 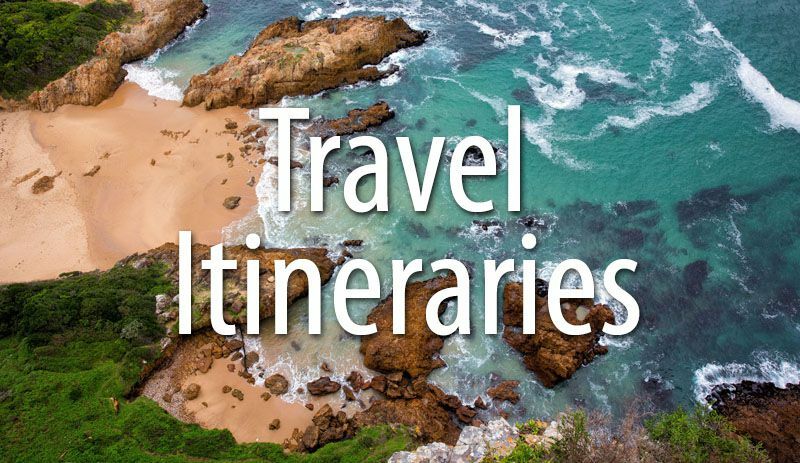 You have several options to get there and the route you choose will have a big impact on what kind of experience you will have. 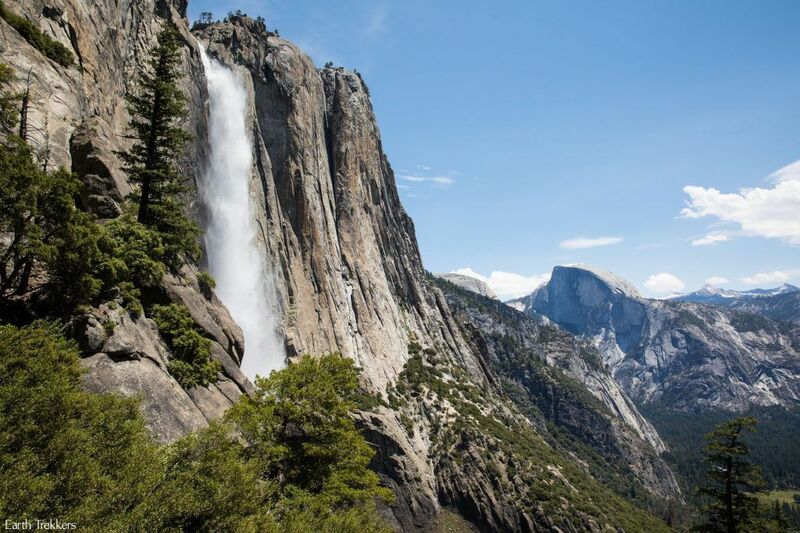 Two trails wind their way up to these waterfalls, the Mist Trail and the John Muir Trail. So, how do you know which one to choose? The Mist Trail is the more popular of the two trails, for good reason. This trail climbs alongside Vernal Falls. The views of this waterfall are unbeatable from here, and if the flow rate for Vernal Falls is high, there is a very good chance you will get wet (hence the name). 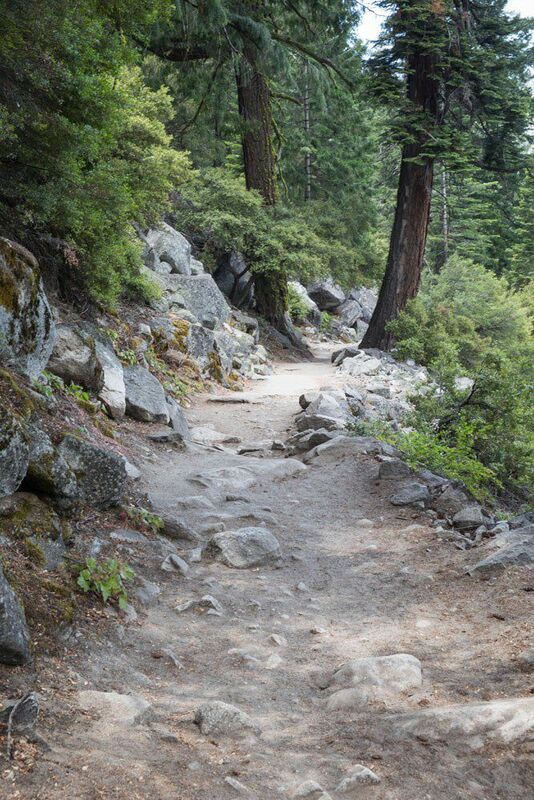 However, the Mist Trail is steeper and more exposed than the John Muir Trail. 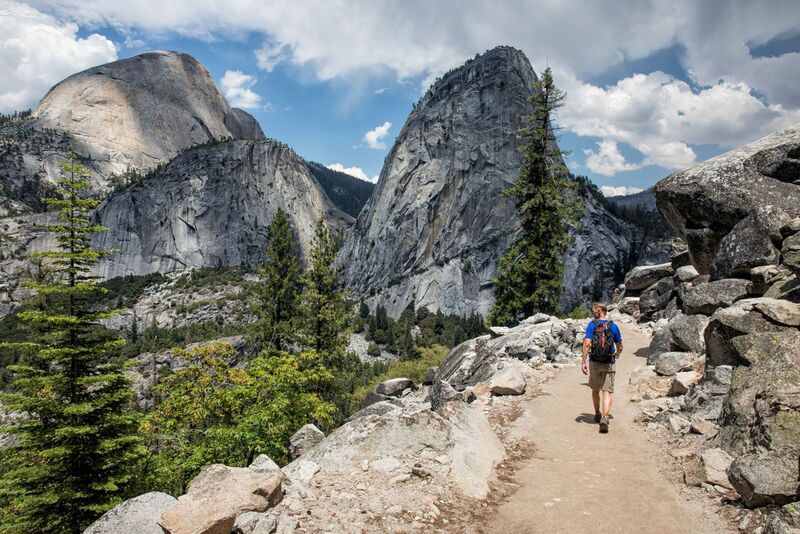 If you are not physically fit or dislike the idea of hiking up over 600 wet, stone steps, the John Muir Trail may be a better option for you. There is a third option, which is the best option, in our opinion. 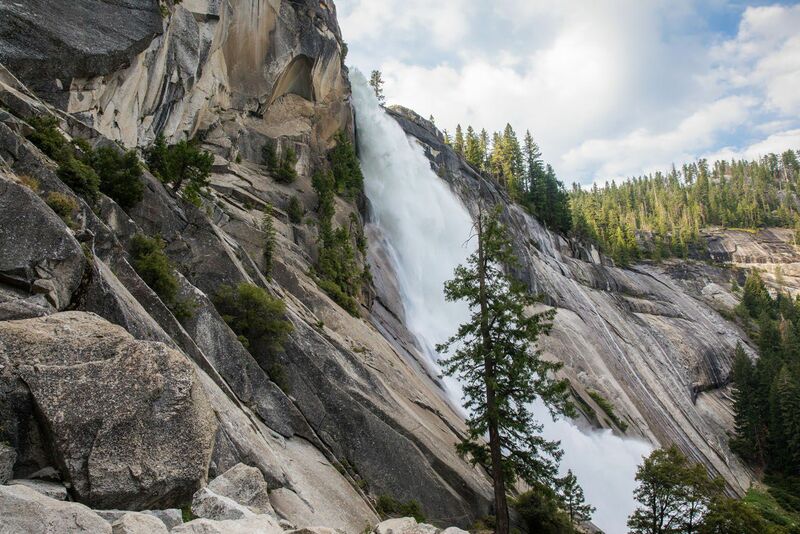 If you have plans to hike all of the way to the top of Nevada Falls, we recommend hiking up one trail and down the other. We explain how to do this later in this post. But first, here are more details about each hiking trail. The Mist Trail begins just a short distance from the Happy Isles Bridge in Yosemite Valley. The closest parking lot is the Yosemite Valley Trailhead Parking, located between the trailhead and Half Dome Village. From here, it is a half-mile walk down a service road to the Happy Isles Bridge and the start of the hike. If you are using the Yosemite shuttle, get off at stop #16. The first part of the trail is a paved asphalt trail that constantly gains elevation. It is steep at times. At 0.8 miles into the hike, you will reach the Vernal Falls footbridge. 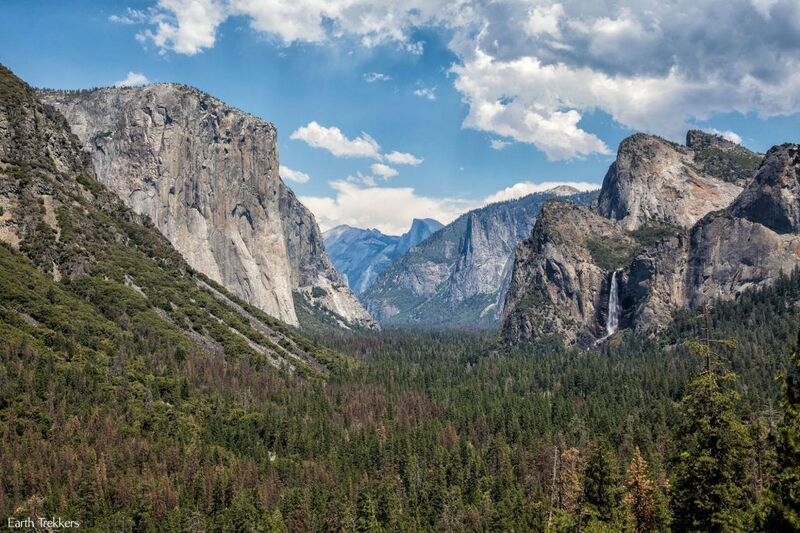 From here, you have a great view of Vernal Falls. There is also a water fountain and flush toilets here. If the hike up to the footbridge was challenging for you, you may want to consider making this your turn around point. The trail gets steeper from here. Past the footbridge, the trail climbs steeply and steadily to Vernal Falls. And this is where you learn how the Mist Trail earns its name. Long, slippery staircases wind uphill along the river and the falls. 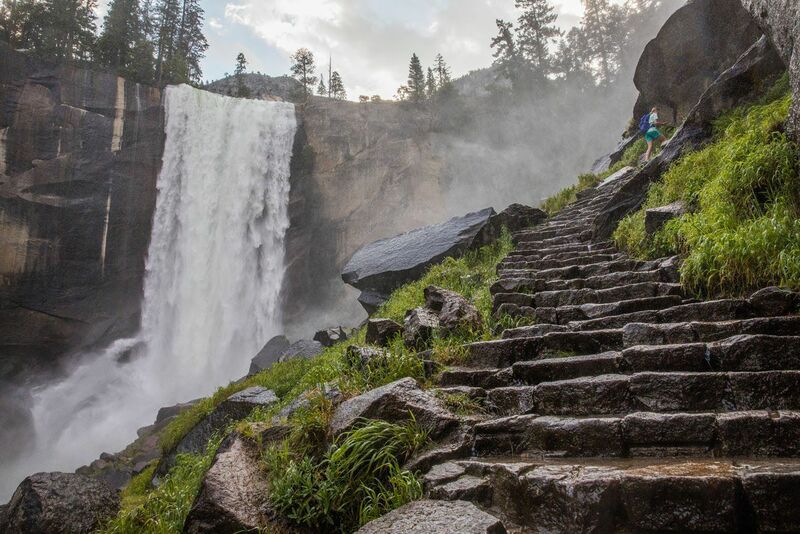 It’s more than 600 steps to the top of Vernal Falls. During this part of the hike, you may get drenched by the mist. In July, the mist was refreshing and it kept us pleasantly cool. During cooler months, you may want to bring a poncho to keep you dry. 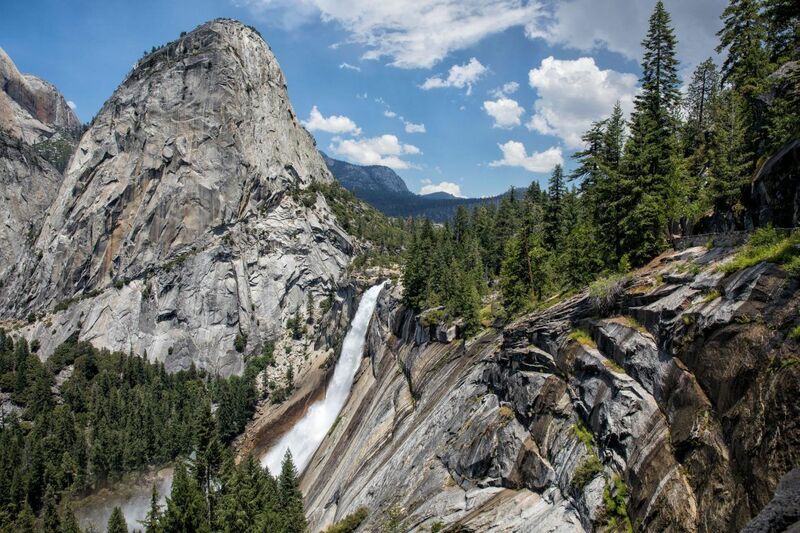 Once at the top of Vernal Falls, enjoy the view! At this point, you can turn around and walk back down to Happy Isles via the Mist Trail. 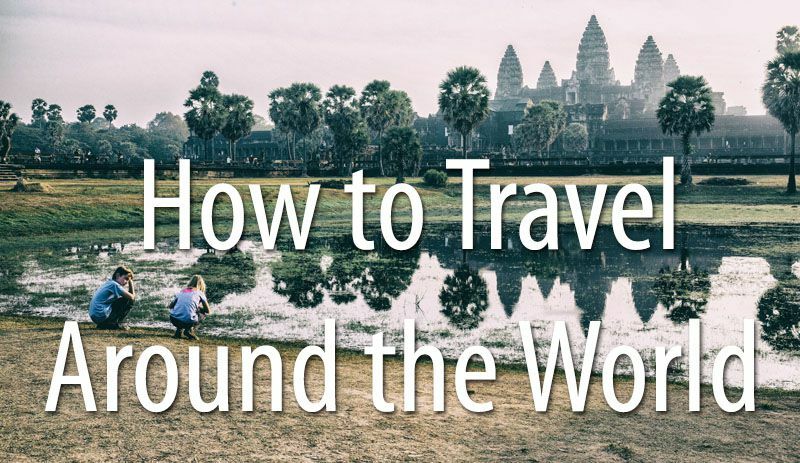 This round trip journey takes about two to three hours. Or you can continue up the Mist Trail. 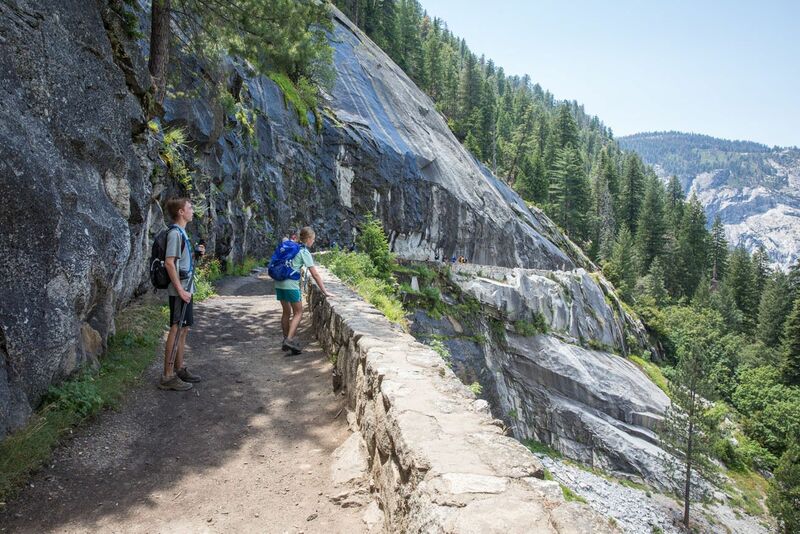 Hike all of the way up to Nevada Falls or take the cutoff trail to Clark Point, putting you on the John Muir Trail. Once on the JMT, you can walk back down to Happy Isles. To continue on to Nevada Falls on the Mist Trail, it is another 1.6 miles of hiking. The trail winds through shady forests and more staircases constructed out of rock and boulders. This part of the trail is just as steep as the trail to Vernal Falls, but it is not wet like the Vernal Falls steps. Once at the top, you have several options, once again. You can turn around and retrace your steps back down the Mist Trail. 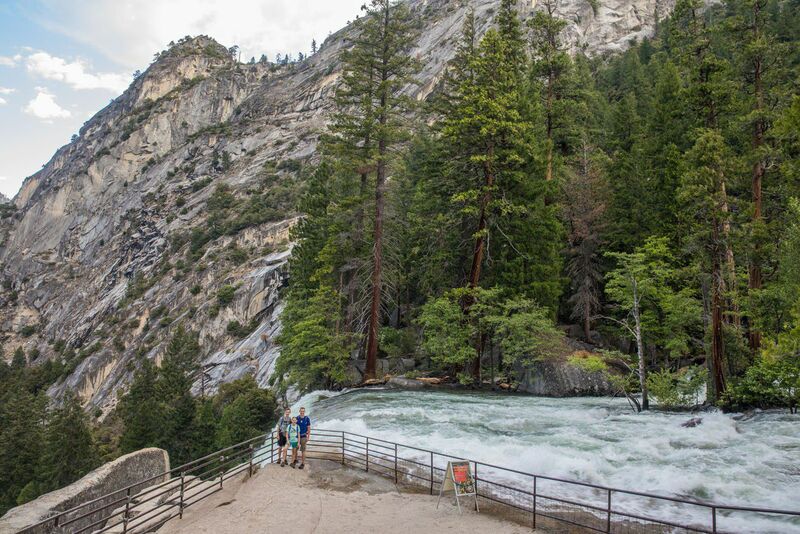 However, before doing this, we recommend walking out to the Nevada Falls footbridge. It’s just 0.2 miles of hiking to one of the best viewpoints of the day. If you are in Yosemite in spring or early summer, Nevada Falls will be thundering, something that is not only impressive to see but to hear. 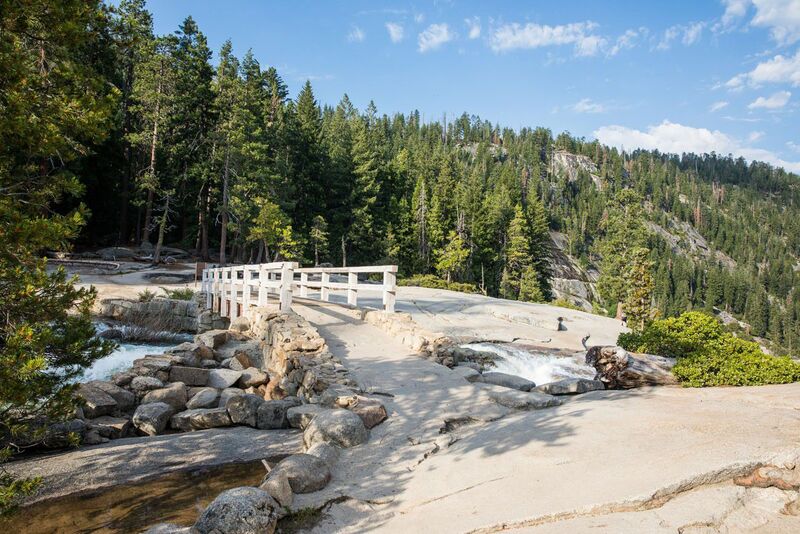 To hike back down to Happy Isles via the John Muir Trail, continue over the footbridge and onto the JMT. 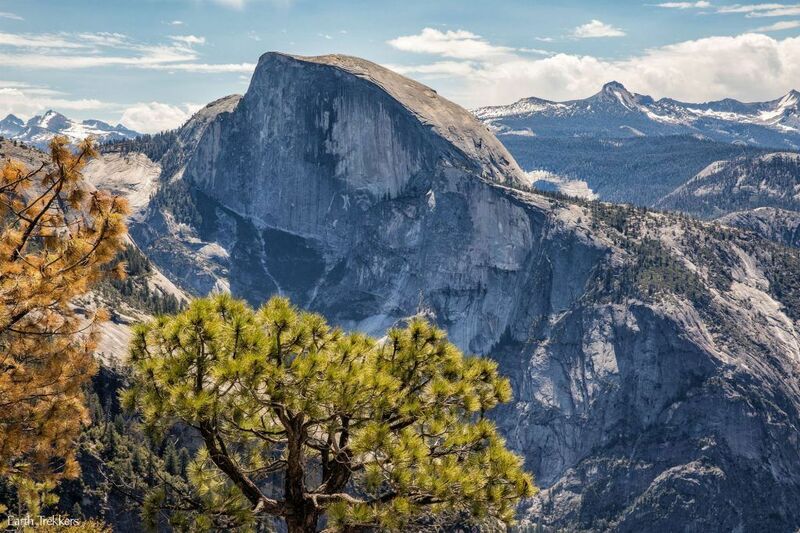 If you really want to have a spectacular day, you can continue on to Half Dome. This is a beast of a hike but very, very rewarding for your efforts. 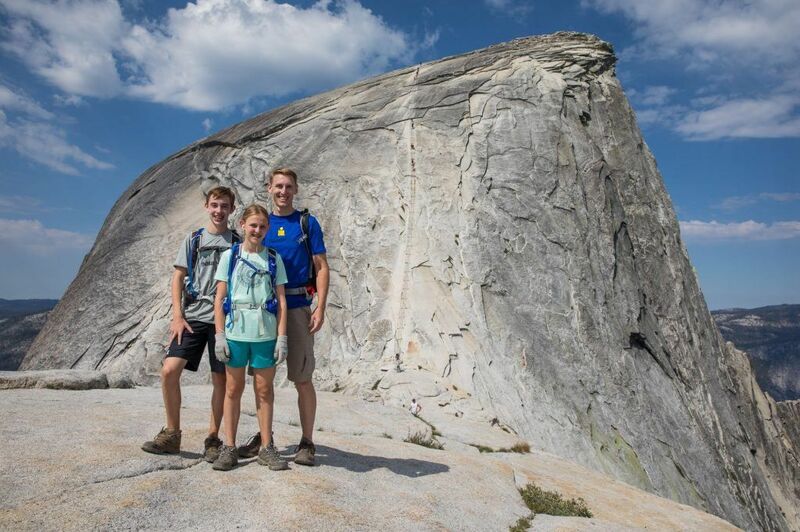 Doing this requires some advance planning, since you are only allowed to hike up Half Dome if you have a permit. The John Muir Trail (JMT) is a long distance hiking trail 211 miles in length. It passes through much of the Sierra Nevada mountain range in California, including Yosemite and Kings Canyon and Sequoia National Parks. 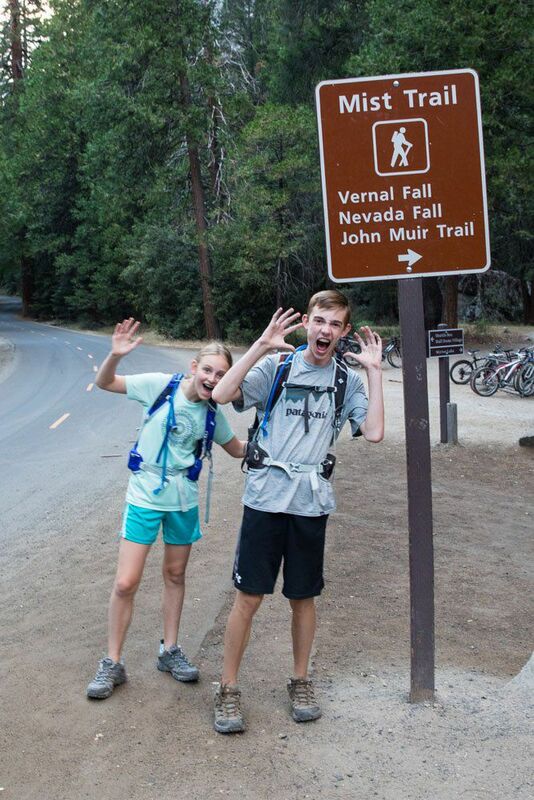 The JMT actually begins at the trailhead for Vernal and Nevada Falls. 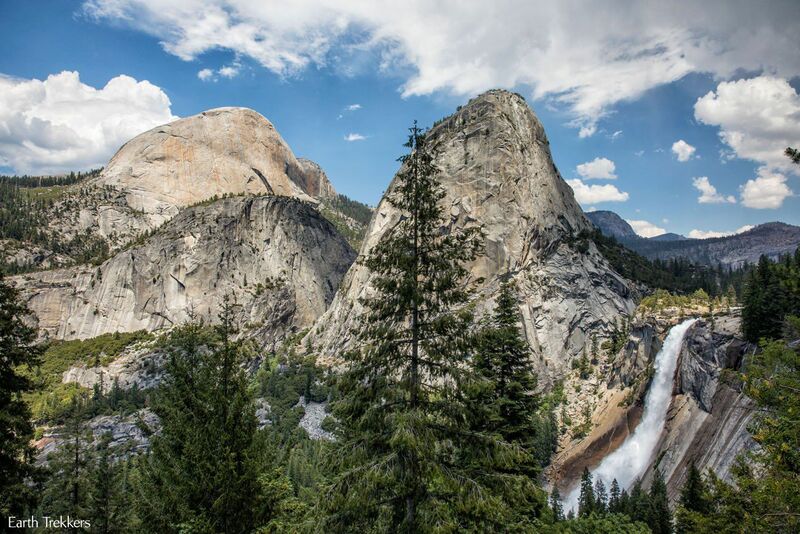 Imagine hiking to the top of Nevada Falls and still having over 200 miles to go (over many days, of course). 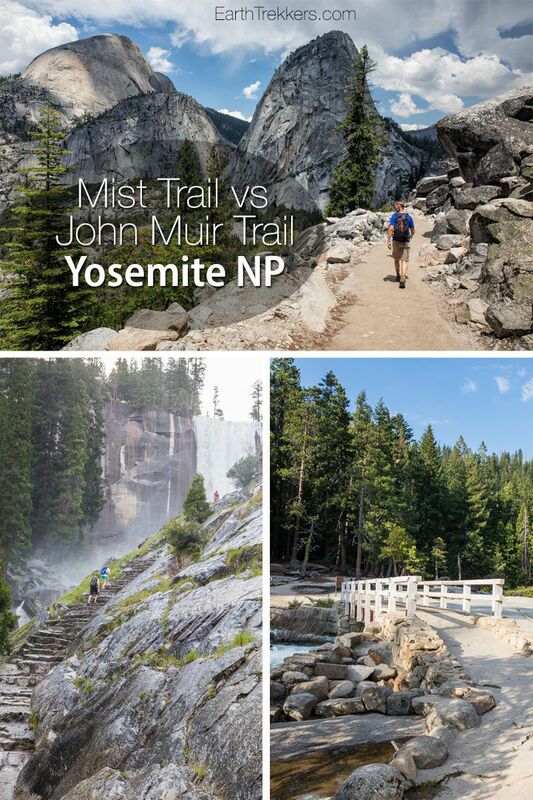 The John Muir Trail shares the same trailhead as the Mist Trail. From Happy Isles, hike up the asphalt path to the Vernal Falls footbridge. Just past the footbridge, the John Muir Trail splits off to the right. The first half of the JMT is on a switch backing, dirt trail in a forest. It is not nearly as scenic as the Mist Trail, but it is less strenuous since it is less steep. 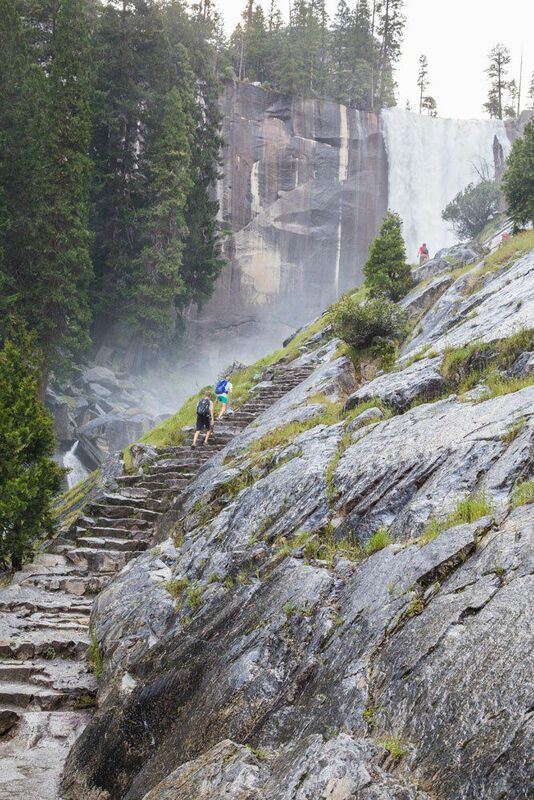 By hiking up the JMT, you also avoid the wet and slippery steps next to Vernal Falls. 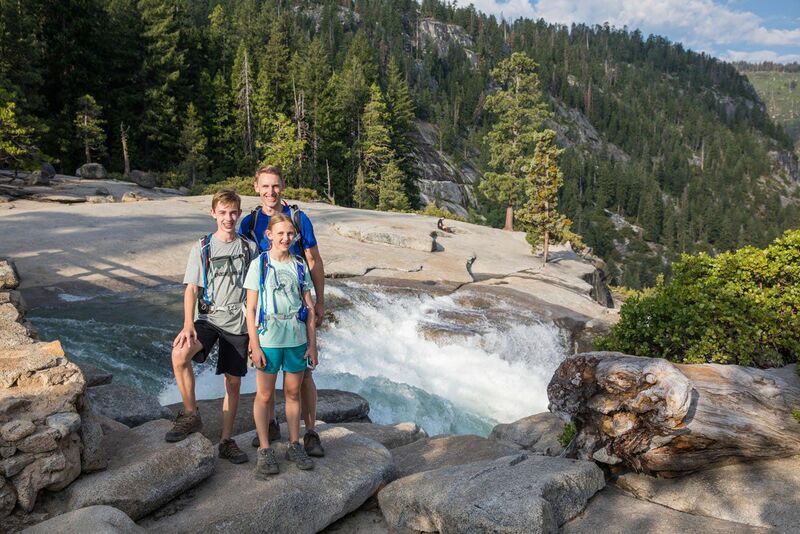 At Clark Point, you can hike over to the Mist Trail, and then hike to Nevada Falls. Or, continue on the JMT all of the way to the Nevada Falls footbridge. Just before the Nevada Falls footbridge is one of the best views of Yosemite. From here, you can see Nevada Falls, Liberty Cap, and the backside of Half Dome. It is incredible. 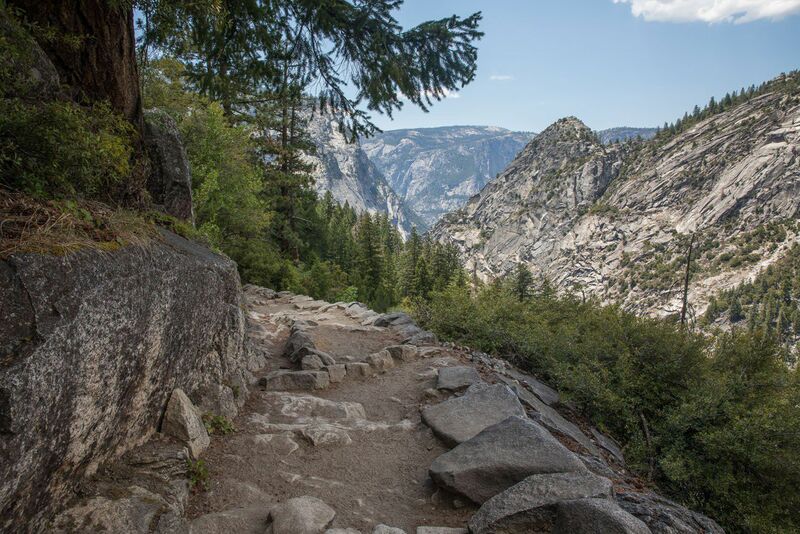 Once at the top of Nevada Falls, you can hike back down to Happy Isles via the Mist or the John Muir Trail. Shorter distance than the John Muir Trail. 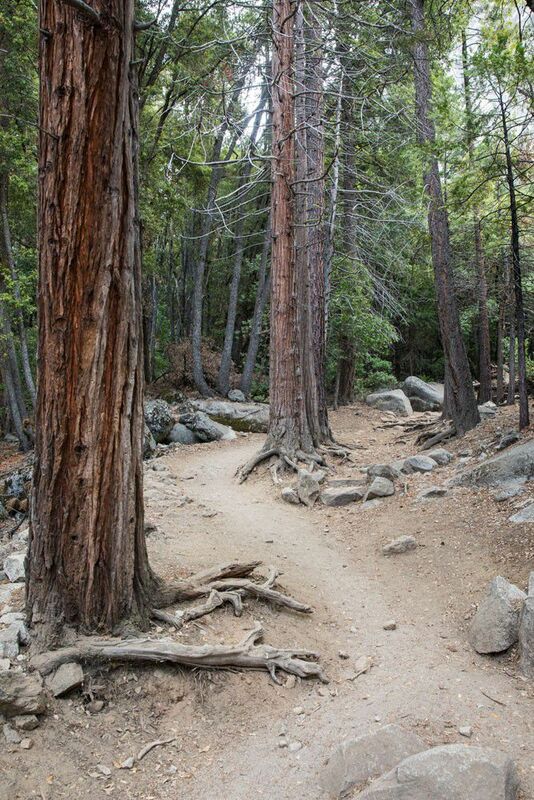 The JMT is 4 miles one way compared with the Mist Trail, which is 3.3 miles one way. To avoid the crowds on the Mist Trail (the Mist Trail is one of the most popular trails in the park and it can get very crowded during the summer months). 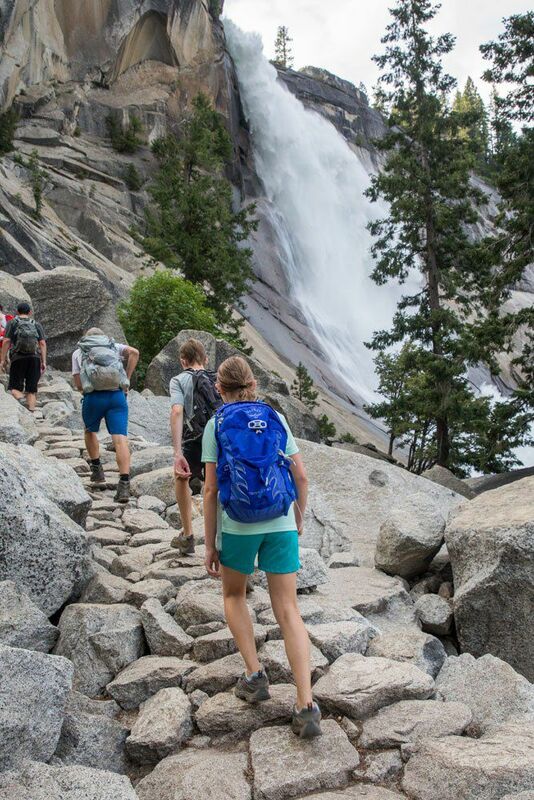 For the best experience, we recommend hiking up the Mist Trail to Nevada Falls and down via the John Muir Trail. Yes, the hike up the Mist Trail is more strenuous, but the view of Vernal Falls is amazing and getting soaked by the spray of the waterfall is refreshing. By hiking down the JMT, you get that amazing view of Yosemite and it’s a little easier on the legs. You can also bypass the crowds hiking up the Mist Trail. In total, this hike is 7.3 miles round trip and takes between 5 and 6 hours. About those waterfalls. The waterfalls in Yosemite are at their highest flow rate in the spring and early summer, as the winter snows are melting. Towards the end of summer, the flows can dramatically decrease, and some waterfalls may just be a trickle. 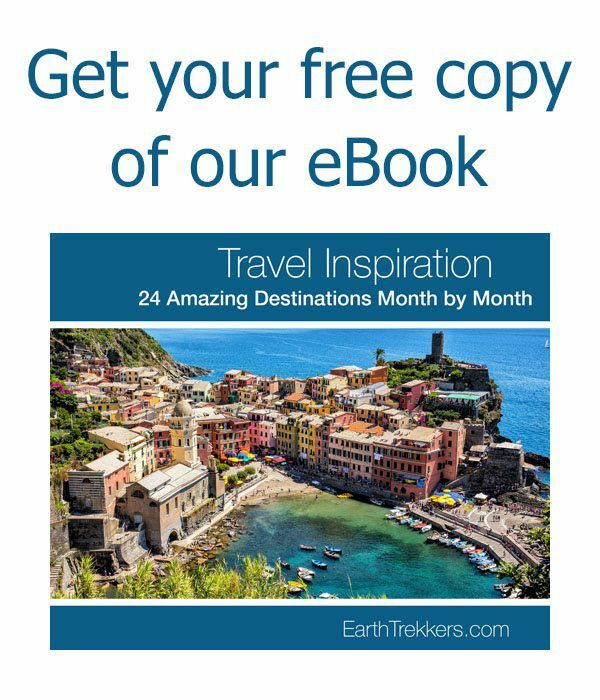 To avoid disappointment, this is something you should know just in case you are planning an August or September (or later) trip to Yosemite. Plan on carrying lots of water. 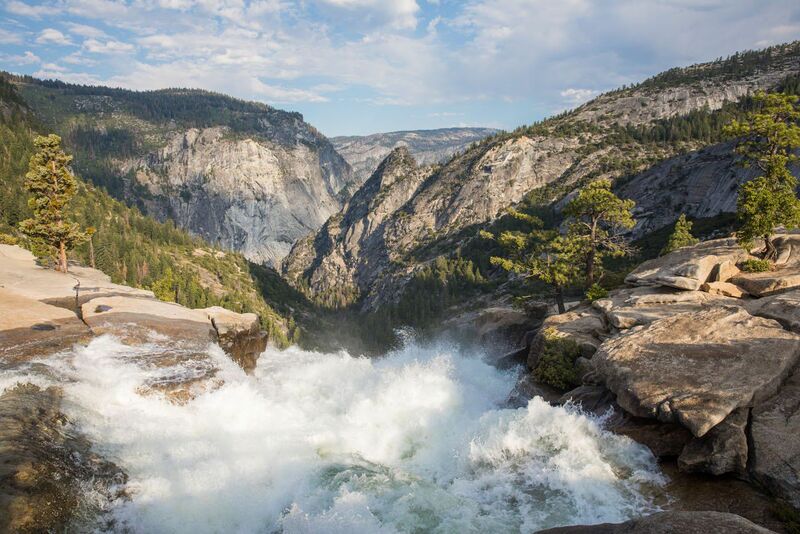 The National Park Service recommends 3 to 4 liters of water per person if you have plans to hike to Nevada Falls. Wear sturdy shoes with lots of traction. Hiking shoes are ideal. You can get by with a good pair of walking or running shoes. Start this hike early in the day. How early? As early as possible, especially during the summer months. By starting early you will avoid the midday heat and the midday crowds of hikers. We try to get on the hiking trails by 7:30 am during the summer months. 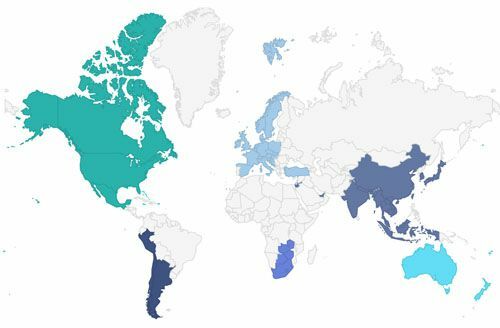 About the hiking distances in this post. We hike with a Garmin GPS and use the stats it outputs for these hiking posts. 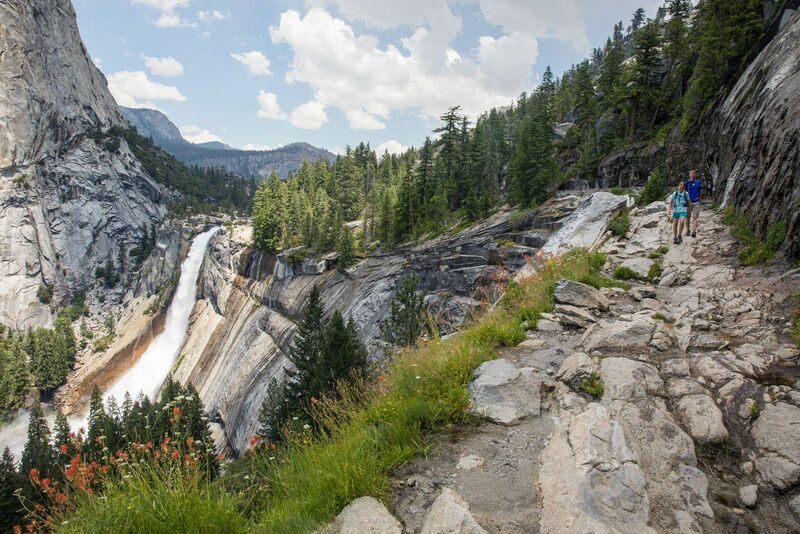 Have you hiked to Vernal Falls and Nevada Falls? What trail do you recommend? 10 Great Hikes in Zion: Which One Will Be Your Favorite? We are looking to hike the mist trail first week of April. When did you do your hike? Were these pictures taken this March? Not sure if we should be worried about ice and snow. Hiked down the Mist Trail at the end of a three day loop from the Village, surrounding lakes, Hoffman, Cloud’s Rest and Half Dome. Very beautiful scenery. I would rather go down than up. But it is challenging on the knees. Crowded in the summer. 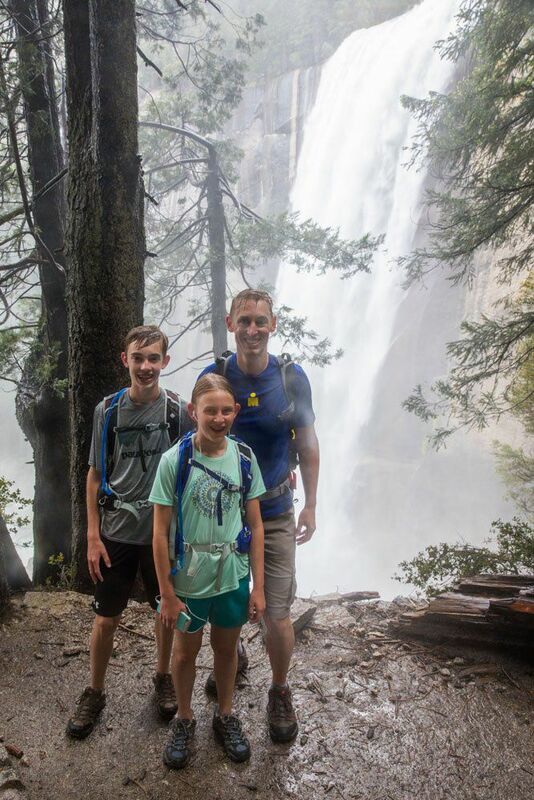 As you hiked Yosemite where did you stay ? — Did you stay within Yosemite (or if so where) ? If you were staying outside of the park where did you stay? 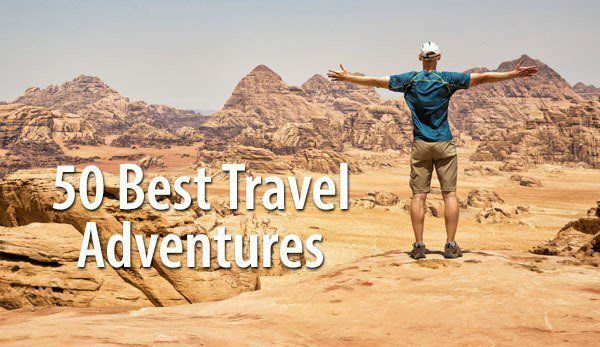 — or where would recommend ? This is beautifully done thank you. The information is great. 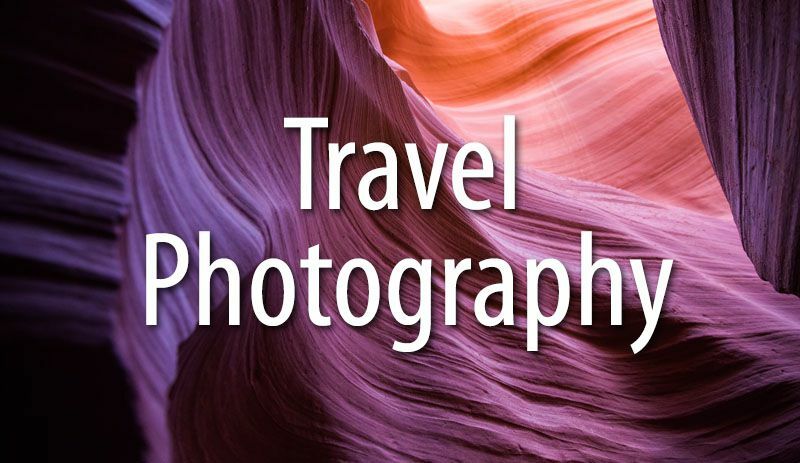 The photos are wonderful! 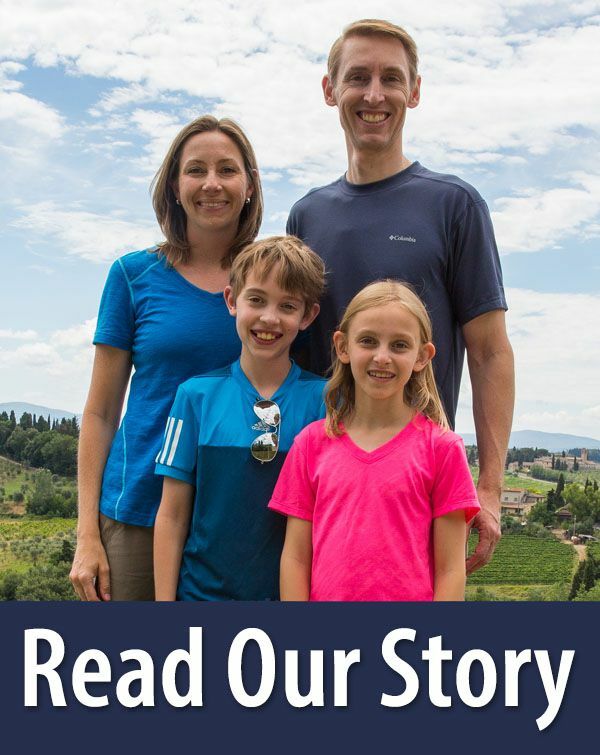 We will be going to Yosemite in April this year– I hope we can do all that you did!